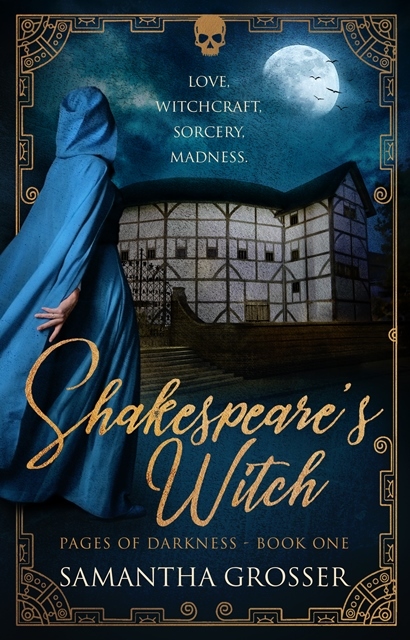 Today on the blog I am super excited to be hosting Samantha Grosser, author of Shakespeare's Witch. I absolutely loved the book (you can read my review here), and I can't wait to share this interview with you. Be sure to enter our giveaway at the end of this post for a copy of the book! Hello Samantha and welcome to Passages to the Past! Thanks so much for stopping by today to talk about Shakespeare’s Witch! Thank you for having me – it’s a pleasure to be here. I have an Honours Degree in English Literature and I spent many years teaching English both in Japan and Australia. I wrote my first novel in my mid thirties, and it took so many drafts to get it right I lost count at 15. I’ve honed my process a bit since then, but only a bit! Although I originally hail from England, I now live on the sunny beaches of Sydney, Australia with my husband, teenage son and a very small dog called Livvy. I’m the author of The King James Men, which is set against the turbulence of 17th Century England, as well as wartime dramas Another Time and Place and The Officer’s Affair. Shakespeare’s Witch is the first book in the Pages of Darkness series. What inspired you to write Shakespeare’s Witch? It was truly a flash of inspiration – a lightbulb moment! I was telling my husband about the curse of Macbeth and he asked me when and how the legend began. We both stared at each other and he said, ‘That’s going to be your next book, isn’t it?’ And I nodded. What research did you undertake when writing Shakespeare’s Witch? A huge amount of reading – Shakespeare, history (of the theatre, of England, of Bankside), witchcraft, and of course, sorcery and magic. It also gave me the perfect excuse to go to Shakespeare’s Globe Theatre on Bankside to see a production of Macbeth. The theatre is as close a replica of the original as it is possible to build, and it’s magical. Best piece of research ever! Any of the scenes where the actors are on stage, either rehearsing or performing. It was such a pleasure to weave Shakespeare’s words through my own, and backlight my characters with the magic of his genius. That’s a hard question! Probably the scene with the magic ritual that Tom and Sarah perform together. So many elements had to come together to make it work and it took a great many rewrites before I was finally happy with it. I’ve been a writer as long as I can remember – as a child I filled up notebooks with stories that mostly involved horses and were mostly very bad. I had a bit of a hiatus from writing in my twenties (though I always kept journals) and I picked it up again when I met my husband, who has always encouraged, inspired and had faith in my work. An ideal day sees me up at 6 am, breakfast, a solitary walk, and writing by 9 o’clock. On a good day I’ll write till 4 or 5 o’clock, but more often I’ll finish at 1 or 2, and spend the afternoon doing research, or something totally unrelated to writing. My greatest challenge as a writer is to believe in what I’m doing. It’s taken a long time for me to actually accept that I can write a good book, and though I’m immensely proud of the books I’ve written, I still have days when I wonder why I bother. But I think that’s the same for most writers – it’s the urge to do it better that inspires us to stick with it even when it’s hard. The list for this is endless, and sometimes unexpected. Every writer I’ve ever read adds something to the mix, and sometimes it might just be a random phrase that speaks to me at that moment, and provides with a new insight. My early inspirations include Daphne du Maurier, Thomas Hardy, Shakespeare, T.S. Eliot, and Joseph Conrad. 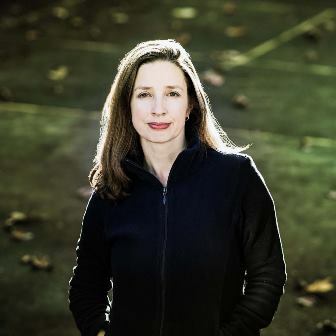 More recently I’ve found inspiration in the work of writers like Tracy Chevalier, Geraldine Brooks and Madeline Miller. The first one I can remember is The Silver Sword, by Ian Seraillier. Set in the Warsaw Ghetto, it ignited a lifelong interest in the stories of the Second World War. I’m reading Villette by Charlotte Bronte at the moment, and before that I read The Lambs of London by Peter Ackroyd. 1. I hate driving, and will walk or take public transport instead if I possibly can. 2. My favourite play is Hamlet. 3. I met my Australian husband in Tokyo. What appeals to you most about writing in your chosen genre? I’ve always been fascinated by the stories of people in the past and writing historical fiction allows me to research a period through a very particular lens, always searching for a thread to tease apart to include in my writing, a seam of information to mine. I’ve found and read books about subjects I would never have imagined myself enjoying and most of them are fascinating. The skill in writing historical fiction is to take all that information and create an authentic world that is both vivid and believable. This varies, depending on what I’m writing at the time. My current work-in-progess is set in Victorian England so I’m immersing myself in literature of the period, especially books that were written at the time. But I’ll read books set in any time period if the subject speaks to me. Obviously, I read a lot. I walk and do yoga. And one of my favourite ways to spend an evening is at our local independent cinema, which is 1930’s art deco. Your last book was about the writing of The King James Bible and now Shakespeare, what are you working on next? The next novel to be published is the sequel to Shakespeare’s Witch, which takes place 25 years afterwards. It’s almost finished, and then I’ll be turning my full attention to the third novel in the Pages of Darkness series which is set much later, in Victorian times. Oh yay, that is the best news! I can't wait! Thank you for spending time with us today, Samantha!